Excerpts from “Hog Wild” by Mark Jones, Wildlife in North Carolina, Feb. 2006. 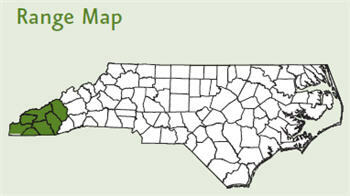 North Carolina Wildlife Resources Commission 2009. Roots, bulbs, fruits, mushrooms, worms, insects, larvae, mollusks, snakes, young birds, mice, moles, carrion. Will breed throughout the year — peaks in February and July. After mating, the pair stays together for 30 days and then the female leaves; otherwise, the male boar will eat the newborn piglets. 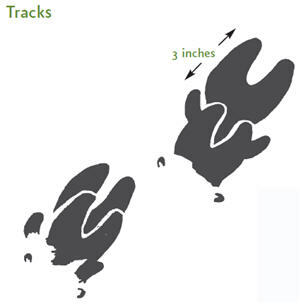 Litter size is 2-12 piglets, (average 4-5); weaned at 3-4 months old. 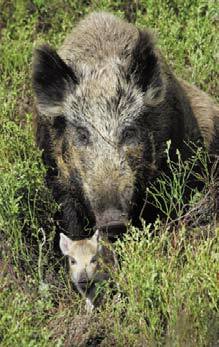 Number of litters is unknown, but wild boars are thought to mate once or twice a year. The piglets will stay with their mother up to three years, even though she has many other litters. Born with longitudinal stripes that disappear within 6 months. Sexually mature in 7-9 months. Gestation period is about 16 weeks. 1-7 years in the wild, longer in captivity. The wild boar is found in Europe, North Africa, Asia and the Malayan Islands, and it is scattered throughout the United States. In North Carolina, the wild boar is found only in a few mountain counties. Free-ranging swine in other counties are considered feral hogs and are not regulated by the North Carolina Wildlife Resources Commission. According to legend, the ancient Greeks considered the boar an animal of mythical stature. They believed that the boar’s tusks caught fire when irritated and would burn a dog’s hair, if it was touched by the boar. Boars evolved in India about 30 million years ago. Domestic pigs that people raise and eat today were originally bred from the wild boar. 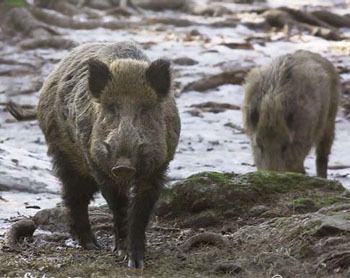 Two strains of wild boars are found in the United States: domestic Hampshire pigs and Russian boars (which probably came from Poland or Germany). In North Carolina, free-ranging domestic pigs or a hybrid of the two strains are what most people know as the wild boar. However, the North Carolina Wildlife Resources Commission only recognizes and regulates wild boar in the following counties: Cherokee, Clay, Graham, Jackson, Macon and Swain. While wild swine occur in isolated populations in other counties throughout the state, they are considered feral hogs outside of the six previously-mentioned counties and are not regulated by the North Carolina Wildlife Resources Commission.The only known true-breed European boars in the United States are found in a hunting preserve in Croydon, New Hampshire. The wild boar is an omnivore, feeding on just about anything edible. Its main diet consists of roots, fallen fruits, nuts and acorns. The boar also feeds on small animals (larvae, snakes, birds, rodents, etc.) and carrion. 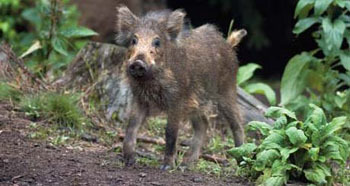 The coloration of the wild boar varies from a dark gray to brown or black. The body is covered sparsely with stiff bristle hairs and a fine undercoat. The enormous tusks that protrude from the boars’ lower jaw are the trademark of the wild boar. Boars use these tusks—which are teeth—to dig and root for food. The boar is a fast runner and a strong swimmer. Because boars have poor eyesight, they must rely on their keen sense of smell and hearing to detect food and avoid predators. The wild boar is not native to North America or North Carolina. The wild boar was believed to have been brought to North America by Christopher Columbus in 1493. The wild boar did not come to North Carolina until April 1912, when hunters brought 13 European boars to a game preserve at Hooper’s Bald in GrahamCounty. By 1920, approximately 100 boars had escaped into the Great Smoky Mountains and established a wild breeding population. During the 1940s, a second release occurred, this one planned, in Green River Cove in Polk County. Reviled by rural folks because of their ability to prey successfully on domestic poultry and cause damage to agricultural crops, wild boars were formerly killed whenever possible. Wild boars are adaptable animals. They do not hibernate and remain active through the year. Like many wild animals, the wild boar is active at night and can move 20 miles or more in a single night to find food. However, the boar usually stays within five miles of its home range. Although older males are solitary, wild boars are gregarious for the most part, moving in bands of six to 50 individuals. The wild boar avoids people when possible. Because of its excellent sense of smell, the boar is often able to smell a human 50 yards away and leave before an encounter occurs. Although confrontations are rare, clapping your hands or making other loud noises will usually scare the boar away. If, however, the animal has been injured, or a person tries to take a piglet away from a mother pig, the boar may become aggressive. When a boar attacks, it opens its mouth and tosses its head sideways and upward, ripping with its formidable tusks. The wild boar is a controversial animal in the Great Smoky Mountains National Park because, while eating, it may root up and devour rare native plants and animals. For this reason, biologists in the park have tried to control the wild boar’s population by killing or live-trapping animals so they can be relocated to other areas. Where legal, wild boar hunting is popular. Boar meat is considered good to eat, although an older boar’s flesh is somewhat tough. Known by a variety of names—wild boar, wild hog, wild pig, feral swine, razorback — the wild pig is prolific and adaptable. And they are trouble. Wild pigs can spread hoof-and-mouth disease, pseudorabies virus and swine brucellosis, all of which can infect domesticated livestock. Wild pigs can also carry diseases that can infect humans, and they can cause substantial damage to agricultural crops and other property. Florida, Georgia, South Carolina and Texas have tried for generations to eradicate wild pig populations. Their lack of success holds little promise for any proposed efforts to control wild pigs in some of North Carolina’s most productive habitats. The best we can hope for in most circumstances is to stop the spread of the animals and contain wild pigs in current areas. Wild boar as a game species is only recognized and regulated in the six mountain counties of Cherokee, Clay, Graham, Jackson, Macon and Swain. In all other counties, free-ranging wild swine are not regulated by the North Carolina Wildlife Resources Commission. It is illegal to move domestic swine across state lines without proper documentation and tests for diseases. However, in the past, citizens have been allowed to move wild pigs within the state. Now, it is illegal to release any member of the family Suidae into the wild. The North Carolina Wildlife Resources Commission is seeking the most effective management of wild pigs, given this concern. However, based on the experiences of other Southeastern states, many populations in productive habitats will be all but impossible to eradicate. Wild pigs represent an ecological menace that could affect North Carolina’s native wildlife, plants and economy in irreversible ways. Collins, John. The Wild Boar in North Carolina (N. C. Wildlife Resources Commission, 1991). Hanzak, Jan; Zdenek Veselovsky and David Stephen. Encyclopedia of Animals (St. Martins Press, l965). Linzey, Alicia and Donald W. Linzey. Mammals of the Great Smoky Mountains National Park (University of Tennessee Press, 1972). Morris, Desmond. The Mammals (Harper and Row, 1965). Walker, Ernest P. Mammals of the World, vol. 2 (Johns Hopkins University Press, 1964). Illustrated by J.T. Newman. Photos by U.S. Fish & Wildlife Service. Jawbone photo by www.noble.org. Produced by the Division of Conservation Education, N.C. Wildlife Resources Commission, January 2009; Cay Cross—Editor. Since 2011 the NCWRC changed the regulations for feral swine. They are no longer considered game animals in any NC counties. Our dogs have found two (2) wild boar skulls in Avery County, NC thus far, in 2017. They are quickly spreading thru the mountains of NC. I will be using this site anytime I have a project to complete! Awesome. Thanks.